Summer has just come to an end and that means pears are in season. 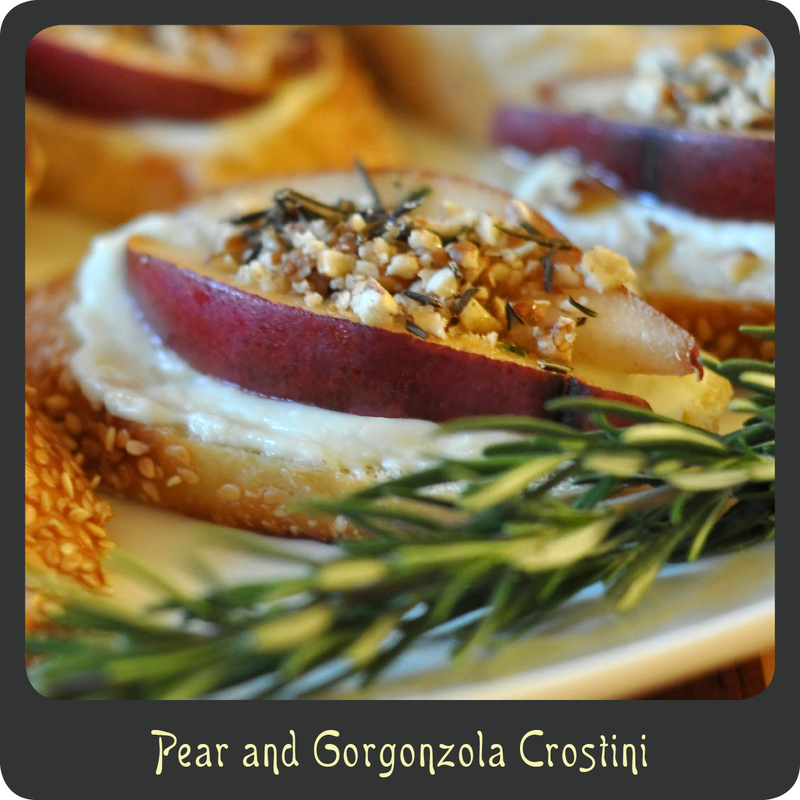 Here is a great appetizer that will help get you in the mood for fall. It’s really elegant and really easy, perfect for a romantic night in or a night of wine tasting! The flavors aren’t ones you might think to typically use together but they really do complement one another nicely. Once you eat these warm delights you will be in the mood to throw on a scarf and go pumpkin picking. Welcome fall! In a small bowl combine cream cheese, Gorgonzola, and butter. Spread a thin layer of the cheese spread on each baguette slice. Place one or two pear slices on top of the cheese. Top pears with some crushed pecans and sprinkle rosemary on the top. Place the prepared baguette slices on a greased cookie sheet.